Includes: Plastic Grip Assembly and Mounting Hardware. 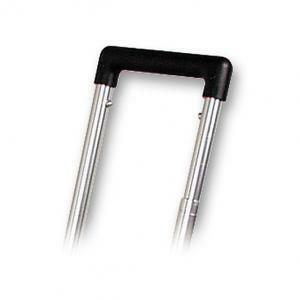 Black plastic replacement grip for Roto-Roller Tool Case telescoping handle (round tube style) ONLY. Allows a firm comfortable grip and comes complete with hardware for easy attachment. Fits these tool cases: RWLB, WLLB/G, WXLB/G ONLY.